It's a known fact that angels in India tend to be a lot greedier than those in Scotland taking away almost 10% - 16% as their share every year. This is fact that wouldn't hurt as much if the spirit in question here was not as top notch as Amrut. Basically what it boiled down to the last time around with the first edition of the Greedy Angels was about 144 bottles of the oldest expression that this distillery had ever come out with. This left a lot of greedy souls like me wanting to taste at least a wee bit of Indian single malt history. 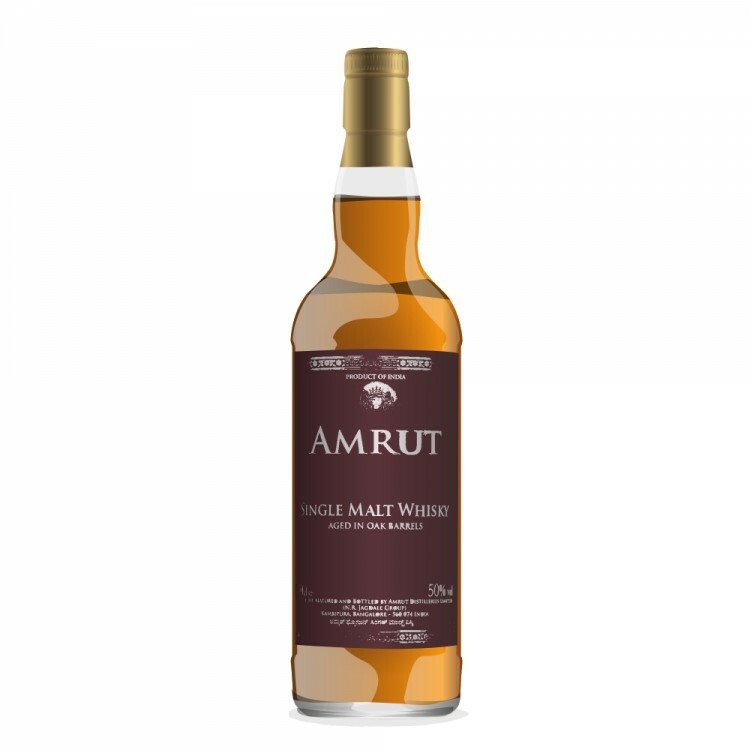 Thankfully the good ol chaps at Amrut decided to come out with the second edition of this brilliant expression and fortunately for us our very dear Ashok Chokaligam arranged a dram of this one for us to sample. Nose: This along with the palate are the two most exciting parts of this expression.. lots of sweet spices, honey and fruits, strong notes of vanilla, also some cardamom, custard apples, green apples and wet woody notes too. As you leave it open for longer you can nose more notes of dry flowers that make their way through. The oak casks used for maturation have given this one all its characteristics in just the right doses. Palate: As I mentioned the palate was just as strong as the nose with lots of dark chocolate, licorices, aniseed and vanilla come up as soon as the spirit spent some time your mouth. The spices notes exist but just the right amounts have been sprinkled in. However what comes out the best are all those strong tropical fruit notes ...lots of papayas, pineapples and oranges. If you held it in long enough you’d also get some sweet dry figs too. And lastly some more of that wood here as well. I must add for me this was very smooth whisky that just glided all over. Finish: This one had a finish that was moderately long, once again the casks imparting notes of woodiness and vanilla plus some dark berries and mild hints of mint with citrus too. 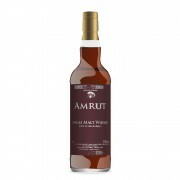 Now I definitely see why these angels get so greedy by the time they reach Amrut. Whilst quite different from some of the power packed cask strength expressions that they have come out with in the past this one still qualifies as an absolute beauty. Cheers to the chaps at Bangalore and thank you once again Ashok for letting us having a slice of history.